Do you want to know how to get to the chungmuro (station)? There are many ways you can get to chungmuro (station) such as public transportation (bus, subway / metro), taxi and Blacklink limo/transfer/shuttle service. Don't sweat outside waiting for other transportation with your luggage. Make a round trip reservation with Blacklink as you plan for your trip. It is easy, convenient and available 24/7. Then, the assigned Blacklink driver will greet you at the arrival and will drive you to the chungmuro (station). You can use Blacklink for not only hotel but also Gimpo Airport (GMP), Myeongdong, Jongno-gu, guesthouse, resort, airbnb, lodging and anywhere you want to go in Korea. Check out Blacklink customer review posted below. Chungmuro refers to an avenue 1.75 km in length and 10-20 m in width and the area nearby, located in Jung-gu, central Seoul of South Korea. Since the 1960s, Chungmuro has been known as the street of culture, artists, and the film industry. 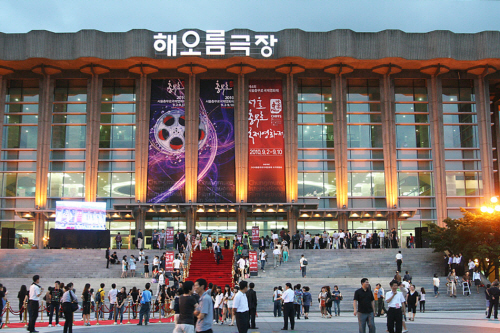 Dansungsa, the first movie theater of Korea, established in 1907, is also situated in the area, then known by its Japanese name, Honmachi. Since 1974, Jongno 3-ga Station has become the nearest station around. Chungmuro was named after Chungmugong, the posthumous title of Korean Admiral Yi Sun-shin, which means "martial subject of loyalty." The last syllable "ro" refers to road in Korean.